NPQ has frequently reported on the well-financed national strategy to privatize schools, on charter school proponents’ misplaced belief that changing schools and teachers rather than focusing on systemic poverty will remedy the racial achievement gap, on charter schools’ accountability, and on the increasingly unusual approach taken by the Waco school board to partner with a community-based nonprofit rather than turn over the school to an outside charter entity. Our nation’s charter school saga now continues with the launch of North Carolina’s Innovative School District (ISD), a new district created by Republican state lawmakers to take low-performing elementary schools away from local control and cede them to a “qualified” for-profit or nonprofit operator. This move is sparking consequential questions in the state about whether key proponents of school choice are personally benefitting from the new ISD and highlights the stark choices facing poor, rural communities of color when it comes to educating their children. The possible conflicts of interest revolve around the selection of an organization to operate the schools in the ISD, a decision that rests with the State Board of Education. This past week, the new district’s administrator recommended that the five-year contract go to Achievement for All Children (AAC), a new North Carolina nonprofit with deep ties to the state’s school choice movement. AAC is closely affiliated with the national charter network TeamCFA Schools, founded by the wealthy libertarian John Bryan. Bryan contributed close to $600,000 to N.C. legislative candidates (primarily Republican) from 2011–2016, financially supported the drive to pass the bill that created the Innovative School District, and also donated $50,000 to the political action committee set up to put Republican Lieutenant Governor Dan Forest in office. A fervent charter school supporter, Forest sits on the State Board of Education. “One wealthy Oregonian’s persistent lobbying resulting in the takeover of elementary schools in distressed North Carolina communities is disturbing enough, but to find out his organization may directly benefit makes the whole scheme even more questionable,” said Andrea Verykoukis, spokeswoman for Public Schools First NC, a self-described nonpartisan, nonprofit organization focused solely on pre-K–12 public education issues. Beyond the potential conflicts of interest is the issue of the dearth of choices facing rural, poor, and minority school districts in the state. The ISD has selected one school to debut this approach: Southside Ashpole Elementary, a school located close to the South Carolina line in one of North Carolina’s most challenged and unique counties. Consistently ranked as the poorest county (out of 100) in North Carolina, Robeson County has a murder rate four times the national average, with young people more than twice as likely as teens in other parts of the state to die before they’re old enough to vote. It is also one of the nation’s most ethnically diverse rural communities with more than two-thirds of its residents American Indian, black, or Latinx. 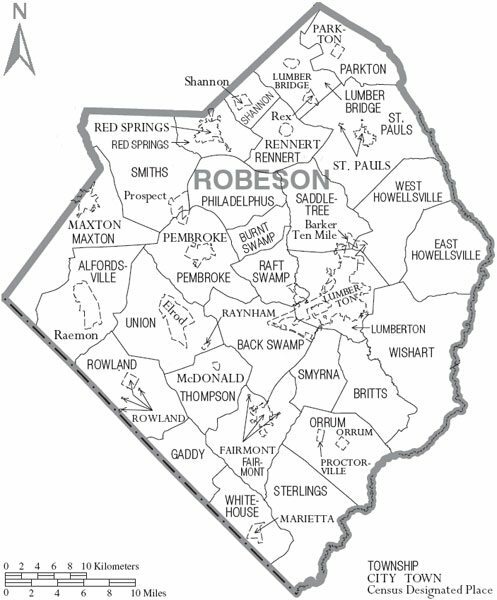 Robeson County is home to the Lumbee Tribe, whose 55,000 members (making it the largest tribe east of the Mississippi) have been unsuccessfully seeking federal recognition (and critical financial benefits) since 1888. Unfortunately, the realities of factory closings, violence, opioid addiction, and obesity have crippled the county to the point that they need outside help to create a path to a successful future. AAC wishes to be of service to create that path and walk alongside them until they reach a time when they can again operate effectively on their own.